I know first hand the devastating effects that lack of sleep has on a person’s life. My experience with chronic insomnia began while working in corporate finance. My life at the time was extremely fast-paced. 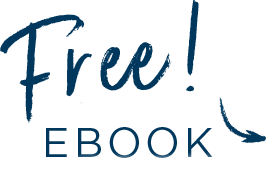 I was breathless, exhausted, and stress-ridden; sleep deprivation had negatively affected every aspect of my life. For several years, I explored countless routes to find a solution to my sleeping issues but nothing worked. In my experience, conventional treatment methods for insomnia only focused on the physical element of wellbeing, such as sleep habits and patterns, neglecting the whole person. It was at this point I realized that I had to dedicate my life to curing my sleep – and ultimately, my life! I set out on a fascinating journey that led me to explore a variety of natural treatments and to participate in numerous personal and professional courses. During this time I studied and received certification in a number of modalities including Meta Coaching, Neuro Linguistic Programing (NLP), Hypnotherapy, Sound Healing, Brainwave Entrainment, Brain Mapping, and various Human Development Frameworks. I also studied a range of alternative healing treatments. From the conventional to the unconventional, the scientific to the spiritual, the progressive to the ancient; I scoured the globe to educate myself on the science and art of sleep. Along this journey, I developed my own unique methods to target the key elements critical to restoring the body, mind and soul back to natural sleep. An approach that not only worked, but led to fundamental and positive change. I’m extremely passionate about sharing with others what I have learnt about healing sleep difficulties, because I know what it feels like to be caught in the struggle of a sleep problem. I also know the quality of life that can be found at the other end of it. My years as an insomniac were some of the worst of my life. But ultimately, it was the unlikely antagonist that set me off down the path towards some of my best and most rewarding. I like to remind my clients of this. 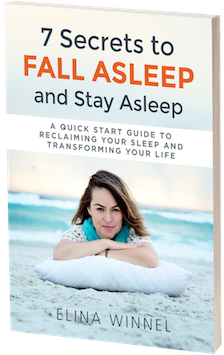 Are you ready to sleep soundly again, reclaim your sleep... and transform your life?